For Samsung Galaxy J7 Prime PU Leather Case For Ladies Girls Women Boys Men, User friendly design with precision cut-outs allow easy access to all buttons, camera, speakers, and connector without removing the case. For Galaxy J7 2017 / Galaxy Halo Case, provides protection against daily wear and tear, scratches, marks and scrapes.The detachable hard magnetic case allows you to carry the phone without the wallet attached at your convenience(can work with refrigerator ). 1.Tekcoo Premium Synthetic PU Leather stylish wallet case.Inside of case is made of TPU material that will not scratch your phone. 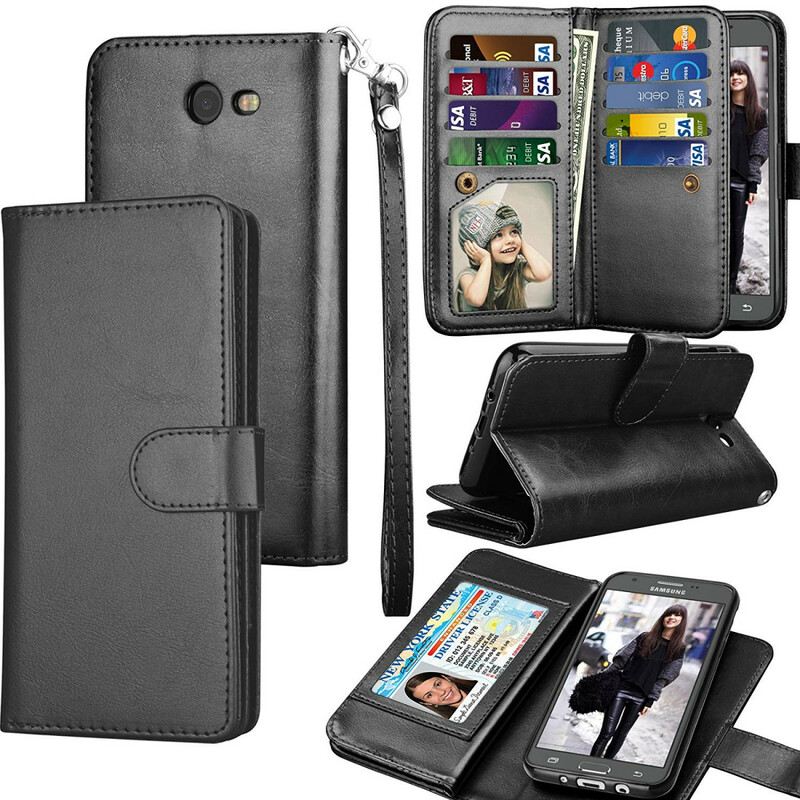 2.Built-in Card Pockets to Conveniently Store IDs and Credit Cards.Included 9 card slots, 3 money pocket Slots and 1 license Slots. 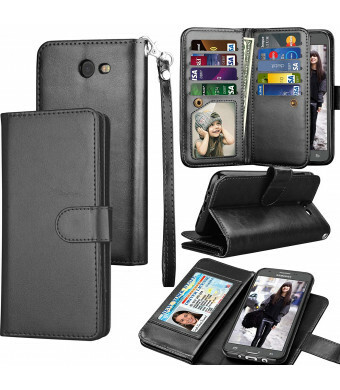 4.The detachable hard magnetic case allows you to carry the phone without the wallet attached at your convenience. 5.Thinness without compromising Phone security.Precise openings allow direct access to all features of the phone without removing the case & protect the camera perfectly. 6.Wrist lanyard allows for convenience and quick, easy access to use it in everywhere.And it also gives fresh looking for your phone. 7.Included magnetic clip.flip cover folded as a phone stand, giving you the convenience to watch videos and movies with desired comfort. And it will not effect the signals.